Maybe you're like me and you have that notorious "EXTRA/GUEST ROOM". Well it's not much of a "GUEST ROOM" when there are no guest staying over. On the other hand it's not much of an "EXTRA ROOM" if there's a giant bed right in the middle of it. 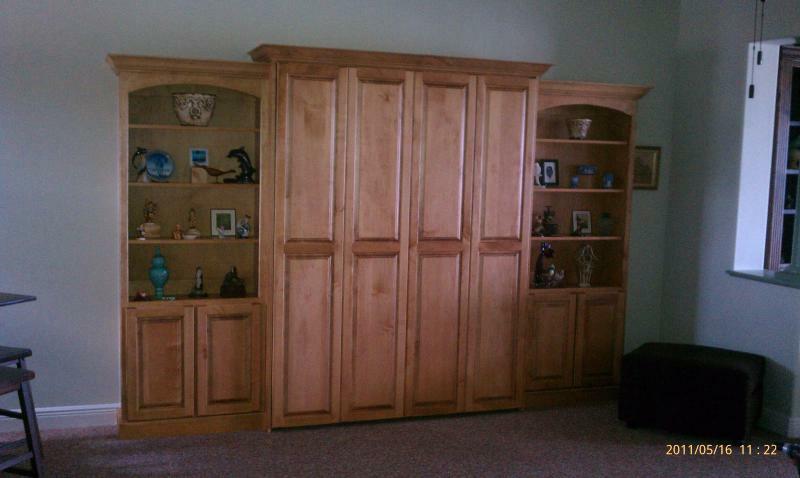 This is where the murphy bed comes in. Fold it down when you need it and fold it up when you don't. Forget those portable beds too! No one likes to sleep on them, they are uncomfortable. Murphy beds use standard mattresses and can even be built to hold pillow top mattresses. The wall art bed is built to give the appearance of a modern piece of art. Available in all sizes up to a Queen. This Bed is great for any room where you may occasionaly need an extra bed for your guest. 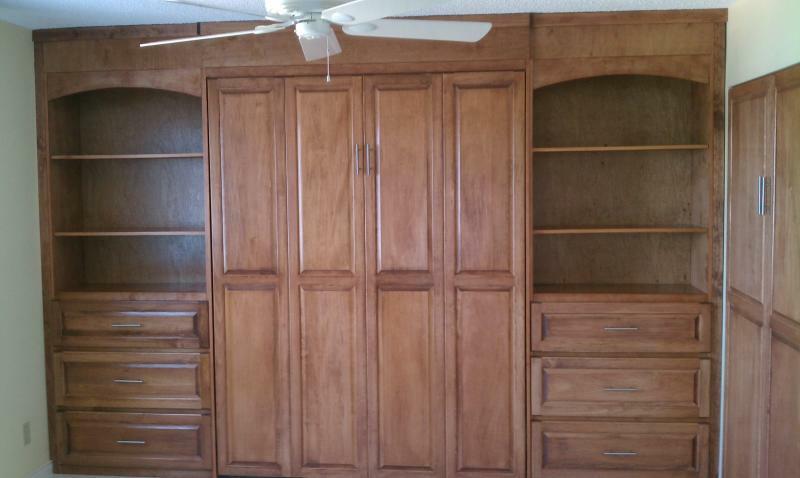 Cabinet Style beds are currently the most popular style of murhpy bed. Made to look like a cabinet, they can be placed anywhere. They can be built out of a variety of different wood. They can then be painted, stained, or even covered with hundreds of different coverings. Beds can also be built from wall to wall and floor to ceiling to give that built in look. Beds can be Stained or Painted to suit your needs. 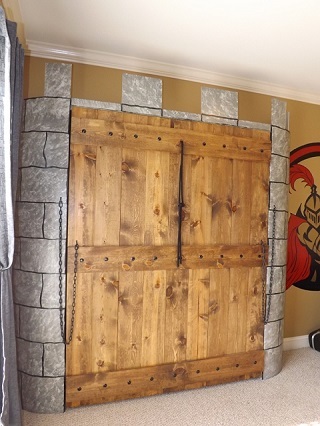 This bed is designed to look and operate like the drawbridge on a castle. A very popular choice for your childs fantasy bedroom. 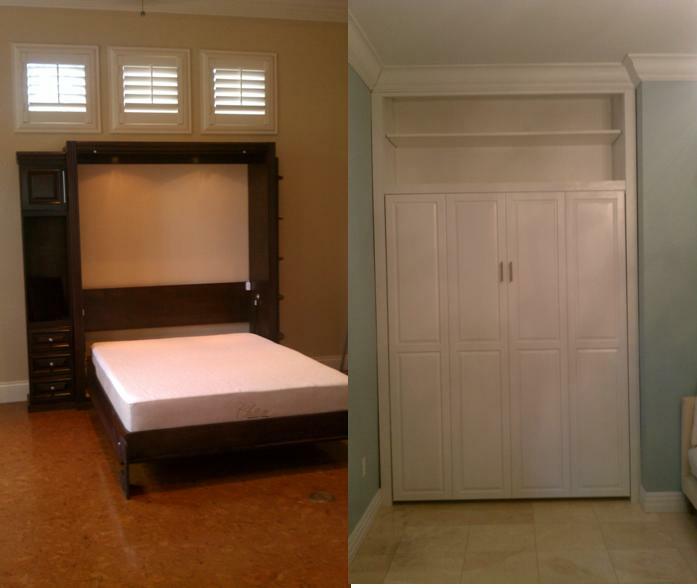 Murphy Beds are the perfect solution when you just need more space or when you need an extra bed for your guest(s). Copyright 2010 3 D's Murhpy Beds. All rights reserved.